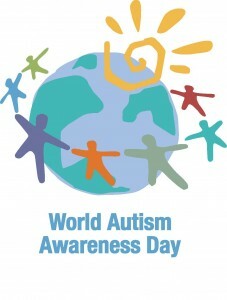 [NOTE: Check out our World Autism Awareness Day 2013 post too!]. World Autism Awareness Day is April 2nd, part of April’s Autism Awareness Month– an official declaration by the United Nations in 2007. According to information provided through Autism Speaks, this UN resolution is one of only three official health-specific United Nations Days. This day encourages individuals across the globe to take measures to raise awareness about the prevalence and rate of autism in our society, as well as encourages early diagnosis and early intervention. Autism Speaks is raising awareness globally for Autism Awareness Day through their annual Light It Up Blue Campaign. Check out the events for this campaign planned by Autism Awareness Australia. There is also a Facebook page on Autism Awareness Day that you can “Like” to show your support. Some good news for Canadians in light of Autism Awareness Day and Autism Awareness Month — the federal government in Canada last week announced new federal funding to support research into Autism Spectrum Disorders. This funding will create the Chair in Autism Spectrum Disorders Treatment and Care Research Program, allowing researchers to develop and bring innovative approaches to the treatment and care of individuals with Autism Spectrum Disorders. 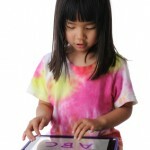 More good news in the area of assistive technology: keep an eye out for free apps this week. Many developers are offering their apps for free on World Autism Awareness Day. In addition, Technology is (Spl) Education is having a series of app giveaways on their site. We couldn’t possibly list them all, but here are some of our picks for apps in different areas. Many of these apps incorporate visual learning, a pedagogical practice that is used successfully with many individuals with autism. Thanks to developers for showing their support for World Autism Awareness Day 2012 and thanks to our readers and friends for helping raise awareness across the globe about Autism Spectrum Disorders.